Every time I visit my home state of Iowa, a sense of pride comes from each and every pint I drink that's brewed in Iowa. Or maybe it's mainly coming from me. I'm very proud of where I come from, I love my home state. Sure the winters are bitter cold, so cold your soul hurts in fact. However, you won't find a sense of community anywhere else like each and every small Iowa town. And guess what, these communities are finding out that nothing brings people together more than beer made with heart and soul. Enter Rustic Brew, a coffee shop/brewpub that recently opened in my hometown of Hampton. Ever heard of it? Doubt it. With its two stoplights (now one since one is slightly broken) and a population of 4,000, Hampton isn't exactly a tourist destination. And to my surprise, my charming hometown opened up its very own brewpub, owned and operated by Joel and Kathy Heuer. Joel was a football coach at my high school, someone I never really got a chance to know since I didn't play the game. Now, being older, it's pretty cool to have something in common. 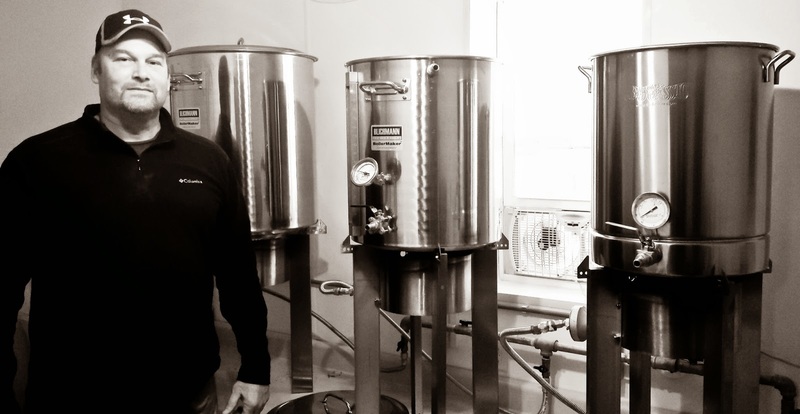 Joel describes his setup as a 'glorified homebrew' setup, which it is, but it gets the job done and he's cranking out batch after batch of beer people are flocking to. Only two were on tap when I was there unfortunately, as the three or four others were all tapped out (a good problem to have). The Slob Knocker was a great oatmeal stout, so good in fact I took a growler home with me. Smooth, creamy, slightly sweet and a great cold day beer. Joel is excited to start experimenting with new flavors and ingredients, like home grown cucumbers. He doesn't know how, but it's something he's wanted to try. I could really sense a great deal of pride when he was talking about the beer, happy to convert a town of Busch Light drinkers onto something with more flavor. But it's not just about conversion of drinkers, it's a concept that was mentioned above that is so paramount to the success of craf beer. Community. Supporting local. Those are two things about beer I love, and I'm so proud of my small hometown in Iowa for embracing them. 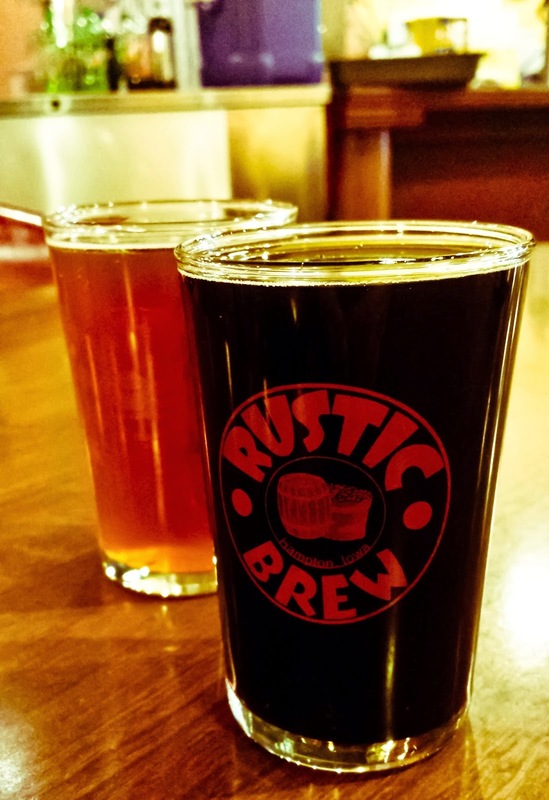 For me, Rustic Brew is about as local as it gets and I can't wait to see them grow. 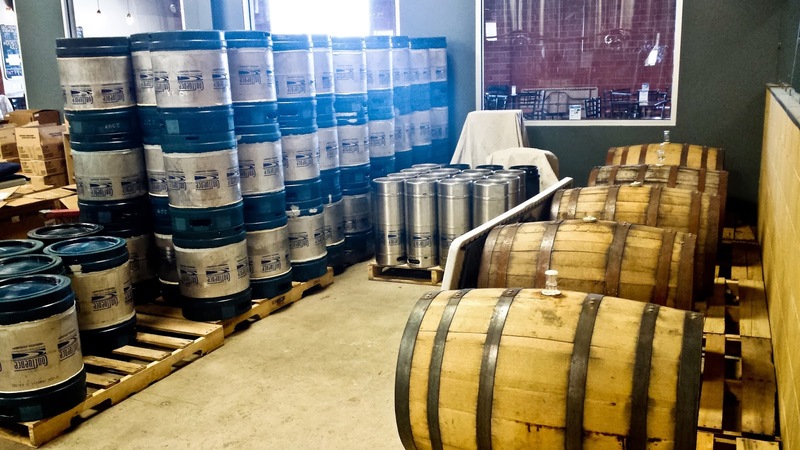 Hampton isn't the only town feeling the craft beer revolution, in fact, it's happening all across Iowa with breweries popping up like crazy. One of my mainstay favorites is Millstream Brewing and their John's Generation's White Ale. It's a bottle conditioned white ale that's crisp, citrusy, cloudy and delicious. Millstream has been around for awhile and seems to be a great gateway brewery into craft beer. Madhouse Brewing, a newbie in the Iowa craft beer world, is brewing out some great flavors like their Coffee Stout, a big stout with huge coffee flavors. They also like to experiment with locally grown hops, one of which I had while there called Iowa Hops IPA. It was a pretty standard IPA, a bit murky and cloudy but it had a nice clean bitterness with a lot of grassy notes. One new one I tried was from Okoboji Brewing, a farmhouse ale that disappointed me. Oh well, can't win them all. Other Iowa favorites of mine include Peace Tree Brewing, Angry Cedar Brewing and Olde Main. Olde Main is a brewpub that opened back when I was in college at Iowa State University in Ames and has since grown in popularity and now distributes. Speaking of Ames, the best bottle shop ever (yes I'm biased and it's a nostalgic feeling every time I step in) happens to be here. 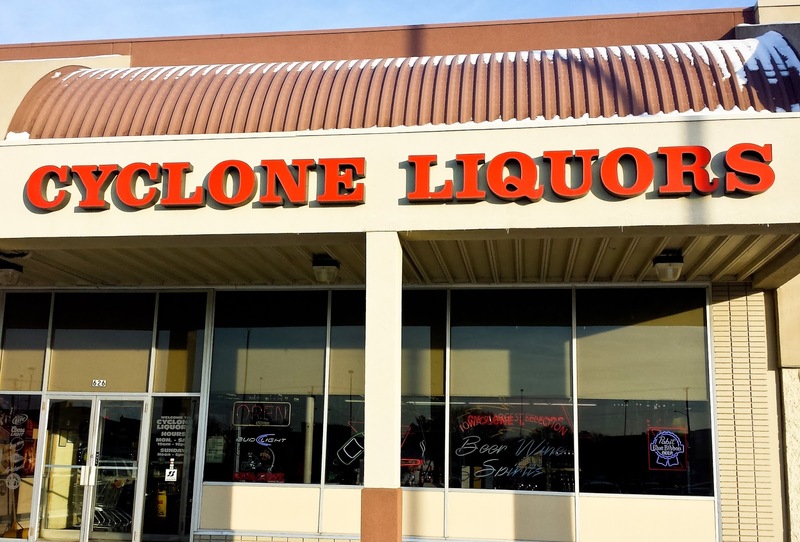 Cyclone Liquors has been around since I can remember and on the outside it looks like your standard liquor store. However, when you walk in, you will realize it's much more than that with offerings from all over the place. Shelves are lined with six packs of craft beer, specializing in Midwest offerings from Bell's, Founders and more. Head to the back to get a more global experience where single bottles rule (Jolly Pumpkin, Crooked Stave, etc...). Don't be afraid to ask the staff, they're very knowledgeable and friendly. I love this place. Down (or up depending on where you are reading this from) in Des Moines, great things are brewing up at Confluence Brewing. A day where road travelling was actually possible, I took advantage of that fact to hang out with some old friends and check out some new beers. 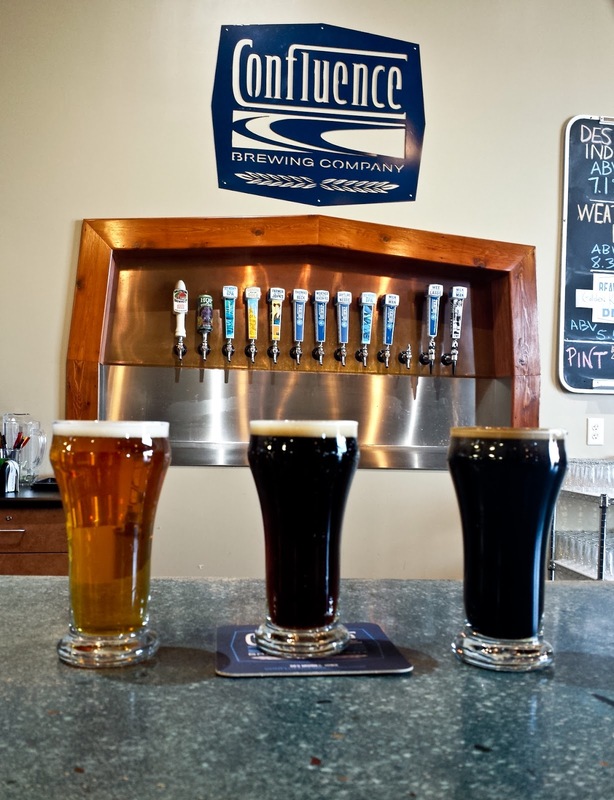 Confluence just opened in 2012 which is surprising since their setup and tap room are very well put together and there were more than enough beers on tap to keep a crowd of people happy. I chose three small samples since I still had to drive, and driving in the snow is not to be taken lightly. The Des Moines IPA had great floral citrusy notes and a clean bitter finish. The Black IPA was a fantastic representation of the style, combining a hefty roasted malt backbone with a nice lingering bitterness. Well done. The sweet milk stout was a bit TOO sweet for my liking, but on nitro it was still a heavenly feeling with a velvety texture. Not very far from downtown, this is a great destination for fresh craft beer on tap. 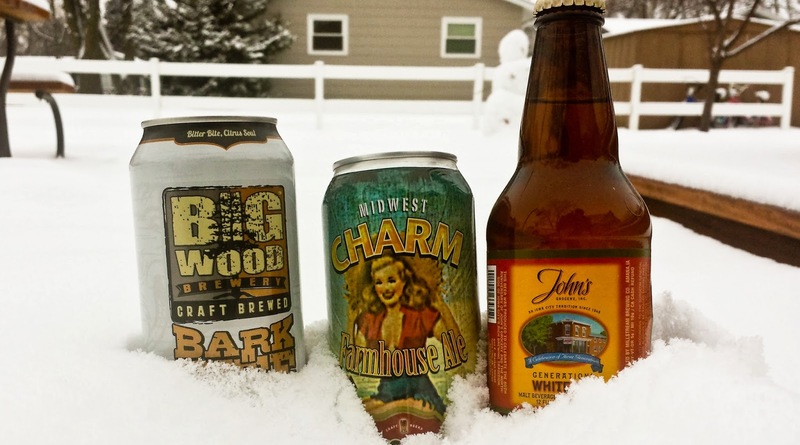 The craft beer spirit is alive and well in Iowa. Support Your Local Brewers. Cheers! For more information on the Iowa Craft Beer scene, check out the site Iowa Craft Beer Tent, where all your craft beer needs are met at the Iowa State Fair. For more information on the Dallas beer scene, follow me on Facebook and Twitter!